You've heard about the new plaid. Now, before you start thinking that the new plaid is nothing but the old plaid waist bound (inclusively but not exclusively true), I should probably tell you that the focus of this post is actually not the plaid as such, but the faded, grungy, rebellious plaid, punking up my otherwise glamorous AX Paris mesh dress, like nothing else could. Plaid (and its newly found cousin, the houndstooth) is probably my favourite pattern and FW13 trend which I am likely to abide by the most. Besides, you already got a first glimpse of it here, in its collective version, inspired by Celine, Stella McCartney, Emilia Wickstead and all the other stacked up plaid looks that flooded FW13 catwalks. More of those refined, layered "new plaid" looks coming soon, probably in the oversized! 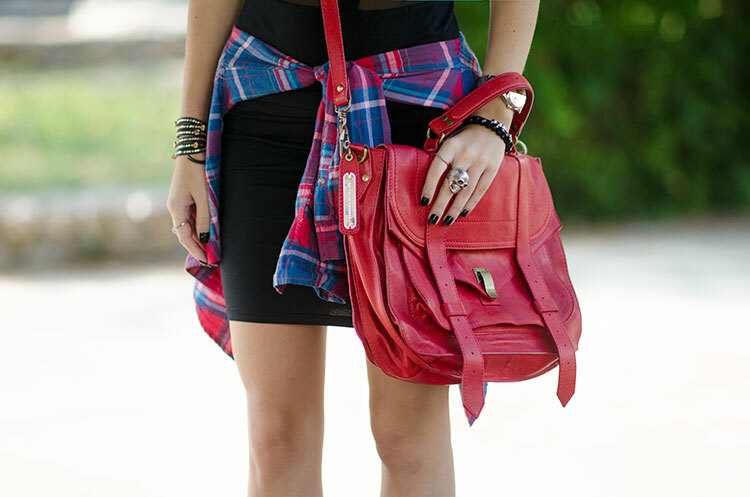 How do you feel about plaid this season? Love how the plaid matches your sunglass lenses - it definitely punks up the dress!